My first convention experience was terrible. It was a Star Trek convention at the old Nashville Convention Center in the early ’90s full of elaborate cosplays, most of which were just good enough that the 8-year-old little Danno ended up inadvertently terrified by a couple of huge Klingons. Marina Sirtis, Counselor Troi from The Next Generation, was the special guest. She showed up late and angry and ended up yelling and cursing at the crowd before storming off stage. It’s a memory that has lingered with me about cons and has been one of so many reasons I’ve just had no interest in participating in them. Fandom is supposed to be fun. It’s hundreds of people coming together to celebrate these strange, larger-than-life fantasies that bring joy and wonder into the banality of everyday life. But if you’ve got to pay an arm and a leg just to get inside, only to have the people who bring to life your favorite characters be inexcusably cruel, what’s the point? Walker Stalker, which I wrote about a week or so ago, was the first con I’ve been to in 20 years and it was everything I had hoped for. It made me feel all the more excited about this past weekend’s Hypericon. Hypericon, as anyone who has read ZIMB would know, is an elaborate, three-day fan festival bringing together people from all across the country to share in their passions for the beautifully strange. From vendors selling 3-D printed prop replicas of Fallout gear and authors peddling books full of supernatural and science-fictional delight, to all of my favorite costumed crusaders wandering through the halls and talking at panels and so much more. It was sensory overload and I loved every minute of it. There was literally something to satiate every fandom you could think of. You like games? There was an entire hall set up with rooms branching off into a retro arcade, a board game extravaganza, and a movie screening room so that everyone had a chance to partake in something that they loved. Meanwhile, on the other side of the venue, artist alley was covered in paintings and sculptures for sale by talented men and women who had devoted their lives to creating some of the most elaborate and intriguing pieces you have ever seen. From a section of The Anomaly, a four-year long art exhibition-turned-steampunk graphic novel in which each panel of the comic is in fact a brush-stroked masterpiece on a canvas, to wood carving prints and gorgeous miniature murals painted on small boards. 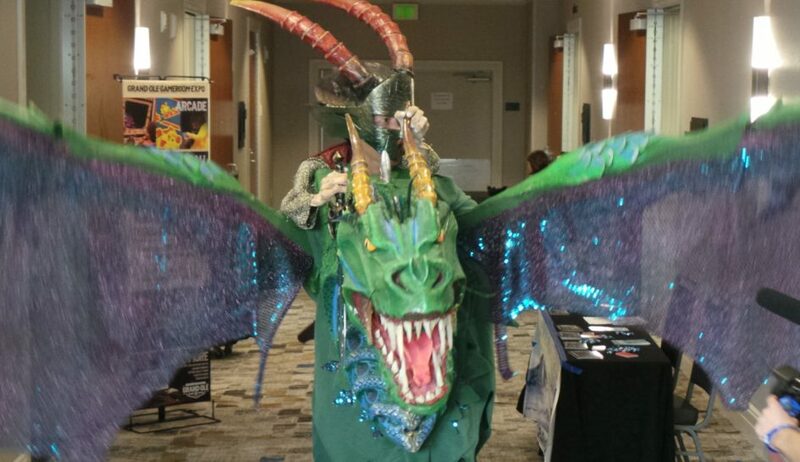 There was the Geek Slam, a trivia battle between attendees, a silent auction to benefit the Nashville Public Library, the most incredible burlesque act ever, and of course panels covering everything from fan films, to creating your own cosplay and so much more. A sampling of the various fandoms from Classic Disney to Steampunk and, of course, some redshirts for good measure. I was getting the full experience too, from all angles. I was working security, as well as being considered a sponsor of the event through the Nashville Zombie Walk that Hypericon Creative Director Lucas Leverett (The Stump, ZIMB) and I are resurrecting later this year. I was also a featured guest and part of a panel with Lucas and ZIMB Founder Matt Kelsey called Talkin’ Dead, which is a Nashville equivalent to the Chris Hardwick AMC Talking Dead, discussing The Walking Dead and Zombie/horror culture. All this while snapping pictures, talking up attendees, vendors and guests so that I could write some great articles for those of you who didn’t make it out this year. Beyond even that, though, were the attendees themselves. Costumed or not, they were absolutely some of the most genuinely nice and energetic folks I’ve ever had the chance to meet and it was affirming and beautiful to be surrounded by so many people trying to bring these otherwise intangible worlds and stories to life. 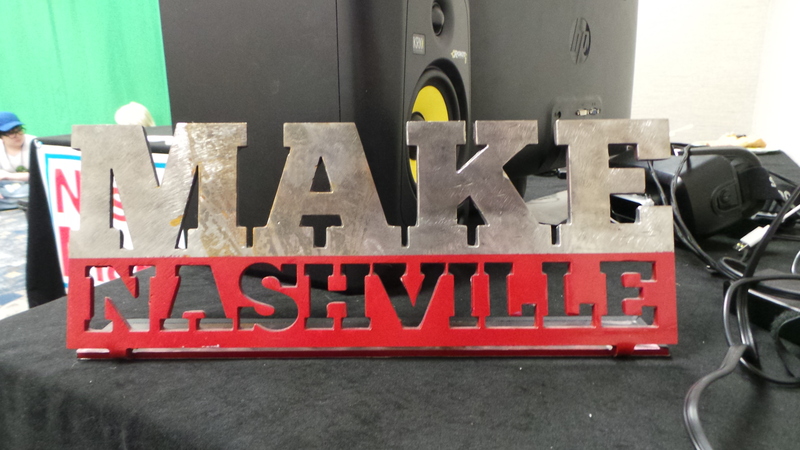 Make Nashville was on hand with 3-D printers, VR devices, a green screen and so much more teaching people what they were about and how to build some of these phenomenal props and anyone in costume you happened to meet was more than happy to explain how they made their cosplay. I’ve got so many pictures, stories and incredible experiences that I’m bursting at the seams to share with you, so be looking this week as I tell you all about Hypericon. What I can say without hesitation after being there as a Minion, a guest, an attendee and a journalist is that this has restored my faith in cons and the people who make them possible. I will be going to more of them whenever I have the chance including (if I can swing it) Heroes and Villains Fan Fest and Con of Thrones coming later this year. If you attended Hypericon be sure to drop us a line, make a comment and share some of your pictures and experiences.